One approach for a cat that tracks litter through the house because her paws are wet is to try the Breeze Litter System. It uses litter pellets which are less likely to be stuck to wet cat paws. To transition to Breeze, mix your current litter with the Breeze Pellets. Then gradually reduce the old litter and increase the number of pellets. Purina provides a satisfaction guarantee so there isn't any risk other than your time and patience. 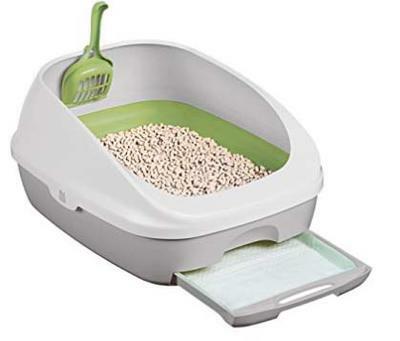 Learn more about the Purina Tidy Cats Breeze litter box system.